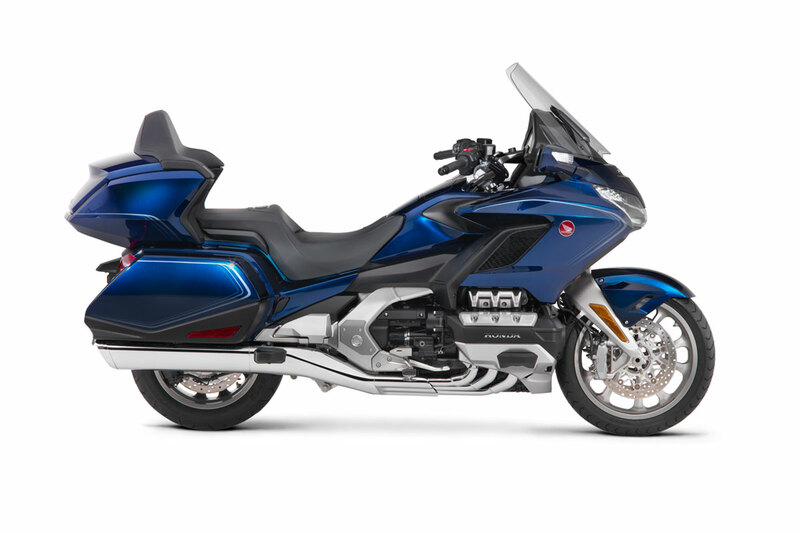 The 2018 Goldwing Tour is the manual variant in the new-generation Goldwing series. Completely redesigned-the first in 17 years. A more fulfilling, superb riding experience to riders and passengers. 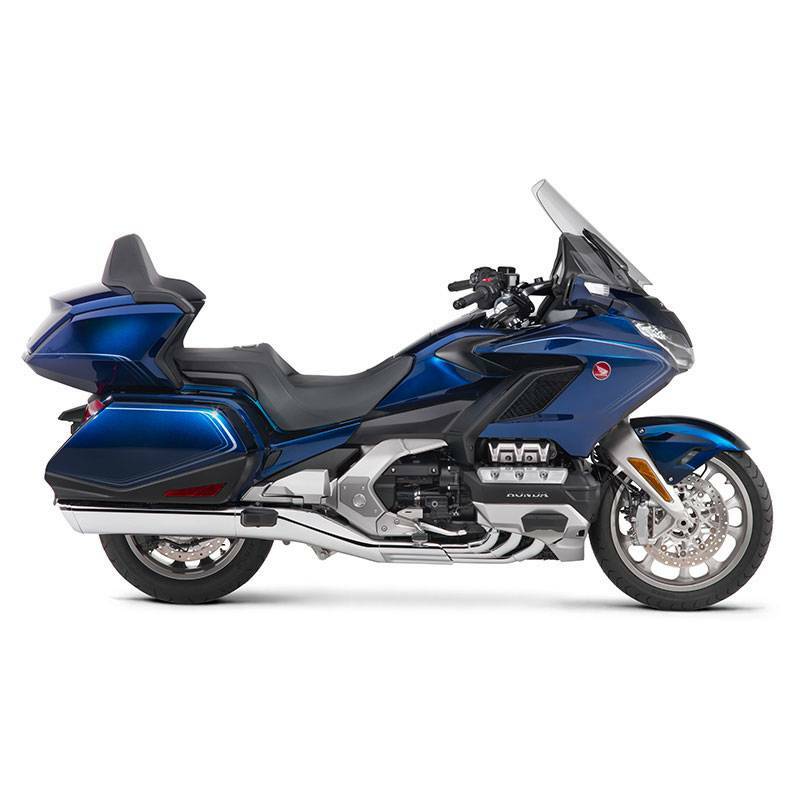 The new Goldwing Tour has hill start assist and cruise control, ideal for long range highway cruising. For the first time in a large motorcycle, Honda has adopted an ISG (Integrated Starter Generator) which integrates the starter motor generator functions into one compact unit for further weight reduction and mass centralisation. With the following smart systems now installed, the 2018 Goldwing has become more convenient and easier to use. The smart systems are activated by the exclusively designed smart key and include: System for tuning ON or OFF the ignition. It has now become possible to turn ON or OFF the ignition and lock the handlebars while just carrying the smart key. It is possible to open and close the saddlebags and rear luggage box without the hassle of actual key operation, as long as the customer carries the smart key with them. Vehicle finder system where pushing and holding the Call button of the smart key results in the hazard lamp flashing. The Emergency Stop Signal system (ESS) assumes the function of promptly warning the following vehicles of sudden heavy braking by automatically activating the hazard lights. High-grade textures, 7-inch full-colour TFT liquid crystal display screen and its three-dimensional design, offer a cockpit view with both a luxurious feel and cutting-edge characteristics, worthy of the flagship model’s cockpit. Tyre pressure is displayed as a numerical figure in the bottom left area of the meter. As well as offering the latest technologies and features for the audio systems, the new Goldwing offers the Apple Car-Play system enabling access to wide-ranging information. For 2018, the engine offers a smooth and powerful new-generation F6 power unit. A re-designed unique liquid-cooled, longitudinal, 4-stroke, horizontally opposed 6-cylinder (F6) 1800cc engine that is substantially lighter and more compact. The 6-speed manual transmission system has lowered the engine speed when cruising at around 100 km/h, considerably improving engine noise. Also, a cam damper was installed between the clutch and the transmission, with the role of separating each of their inertial masses. This has reduced the noise and shock when shifting into gear and substantially improved the shift sound quality, as well as enhancing durability of the transmission at the same time. • Refined shape• Updated ergonomics • Electric windscreen• Heated seats and grips • Luggage box and saddle bags and LED headlights and tail lights.